Visiting Delhi during the day can be a very overwhelming city with lots to do, leaving tourists crushed with this electric city, forgetting that Delhi has a nightlife with many bars, from the most commercial to the most alternative, open 7 days per week. The nightlife in Delhi has proliferated in recent years with great vigor when compared to other cities like Mumbai. A couple of years ago, the night in Delhi was typical, just with families, enjoying at night with a new blockbuster of Bollywood, followed by dinner in a nearby restaurant. Today, the nightlife or night scene in Delhi is entirely different. The younger generation enjoys a more dynamic lifestyle and feels the need to socialize with friends and connect with new people, especially at night, as they do not find free time to do so during college or working hours. In addition to the luxury hotels that offer their own space for nightclubs and night parties, other impressive locations are also seen scattered throughout the city, providing a more extensive range of opportunities. Almost all of these nightclubs are concentrated around Connaught Place and south of Delhi, while areas like West Delhi are progressively reaching the advent of new restaurants and bars. In the south of Delhi, the place that stands out for its modern and alternative bars, large or small, crazy or quiet, is the Hauz Khas Village. Hauz Khas Village is full of cafes and party places that have been opening like mushrooms, offering excellent places to eat and others to enjoy music and dancing. 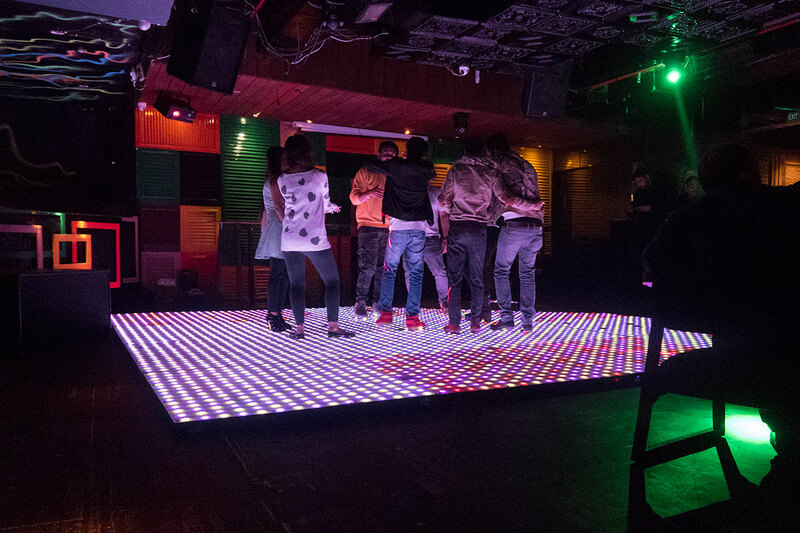 Spending a few moments at night, to the sound of music along with a bottle of drink with lights dazzling your look and all the muscles of your body, Delhi has a large type of nightclubs with a vast variety for you to try. Just remember drinks in Delhi are not cheap and most of the time, the price you see is increased by a tax. It is mainly a broad road, full of bars from one end of the street to the other. To get there, you can take the yellow metro line to Hauz Khas station. When you get there, you can walk for about 10 minutes, or pick up a rickshaw, paying no more than Rs. 40 to the first bar, just outside the street, the Auto Kitchen & Bar. Before, it was just a tree-lined street with a lot of shops, but now it is one of the main nightlife areas of the city. Hauz Khas Town today is home to several top-end bars and restaurants with unique ideas to attract all kinds of night owls. Located in the Hauz Khas area of Sri Aurobindo Marg, this bar is divided by two buildings, one facing the other. The first with the Auro bar and the other with the Summer House Cafe. The Auro Kitchen & Bar sits on the roof of the first building, and as soon as you’re passing by, you’ll already hear music coming up from the bar. It is an outer space on the top floor, with tables outside, a DJ table and space for dancing. On one side you have a sushi man preparing sushi. On the other, the DJ, with all dancing around, well dressed, in a very trendy environment. It also has an interior space, probably used as a restaurant. As expected by the look of the bar, the drinks are a little expensive for the Indian lifestyle. For example, a beer costs around Rs. 400. So do not expect to see many locals in the bar, but mostly tourists. Also, it is common to have the Indian beers sold out, having only some international ones like the Corona. The Summer House Cafe across the street is more of a chillout bar. With low, relaxing music, it’s perfect to go with friends, chat, while sipping a drink. As its name implies, it is a place with lots of drink choices. This house is present in a massive building in Connaught Place, and also in Hauz Khas Village, in the middle of the street. Space is vast and pleasant, with a tranquil environment where you can enjoy a drink or even eat some snacks, such as spring rolls Thai, shrimp, squid or even lamb and kebabs. But the Lord of the Drinks in Hauz Khas Village is not just a place to have a drink or eat something. There’s a lot more than it seems at first glance. It’s a bit expensive, but you’ll understand why once you get inside. Inside is like a coffee lounge place, with an outdoor area, tables covered by trees, where you can enjoy some music, mainly Indian, and have a drink. During the week, this place is relatively quiet, but on Friday or Saturday night, you can find the place fuller, with people dancing with not overly loud music, letting you still have a pleasant conversation. But this place is much more than a bar and a restaurant. At the back of the bar, there is a small zoo with deer and even some bears. After a few quiet and relaxing moments in places like the Lord of the Drinks, it’s time to try out a local bar with local music, full of people dancing to the sound of Hindi music. After entering the main street in Hauz Khas Village, near the Aura Bar, walk through the Lord of the Drinks and continue straight ahead, you will enter a pedestrian zone of the road with small bars and restaurants on one side and the other. Barsoom is one of them, located on the top floor of a building on your left, opposite the Wow Momo store. If you can not find it, just ask anyone there. It is one of the most popular bars in the area. Even a day like Sunday, you’ll find this place in a crazy mood. It is a bar for those looking for a more relaxed, not luxurious, with only young people to have fun and dance like crazy. 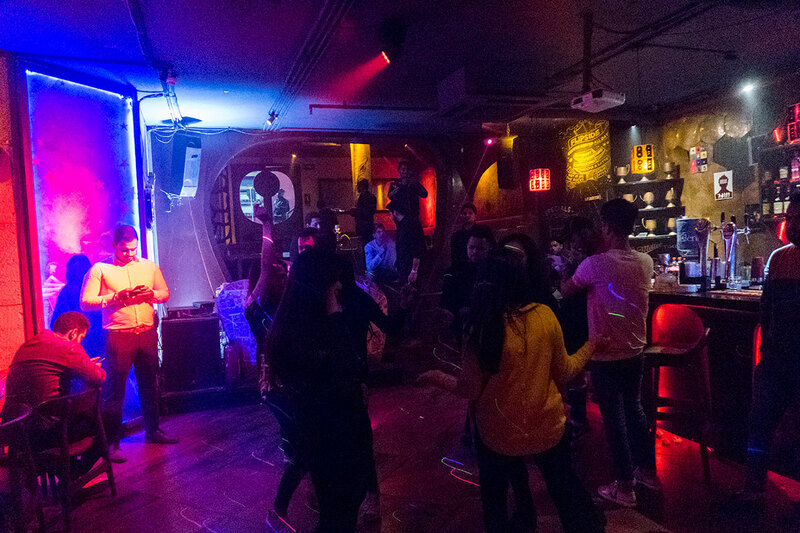 It’s a real alternative bar, where you’ll find mostly Indian dancing like there’s no tomorrow, completely sober, to revel in the sound of India’s biggest hits right now. The drinks here are relatively inexpensive (Kingfisher for 215INR) compared to other places. Just a few meters after Barsoom on your left you will find the Amplified Bar. It looks like a high-tech bar with a dancefloor full of lights as if you were in the ’70s in those disco wave bars. The music here is mostly Hindi hits, just like in Barsoom. The drinks are only slightly more expensive than Barsoom. On the first floor of the same Amplified Bar building, also with Hindi and some international music, the Maquina Bar is undoubtedly the place of fashion there in Hauz Khaz. Even on a Monday night, you will find the Bar Machine completely full, with many people dancing, and some sitting on the few tables that are there. The dark environment, typical of disco and the music loud. It’s a perfect place to dance, go crazy in Delhi night. Located in the inner circle of Connaught Place, this beer place is also a bar where you can watch any sport on the various televisions there and, as its name says, has a wide range of beers available. It is open from 11 am to 01 am and is a great place to relax in quiet surroundings on Connaught Place, but only during the afternoon. During the afternoon, this place is quiet and almost empty, but at night it gets crowded very quickly. More than a place for big parties, it’s perfect to sip some of your beers and eat something, such as Noodles with Crunchy Maggy Vegetables, while watching a game. Wi-Fi is free, but only during the time of a beer. If you want to have Wifi for longer, you’ll have to drink or eat more. Prices are much more expensive than those you find in Hauz Khas Village. Lord of Beverage occupies a large area in Connaught Place. Spread across two floors of a vast building, the Lord of The Drinks is the ideal place to go when you want to sip cocktails and eat something. Its location does not go unnoticed by the massive building it occupies, completely isolated. The lightly lit stone staircase leads to a huge bar where you will discover people relaxing to drink with friends, drinking even on a weekday. The decor, as you would expect from the large outdoor unit, is something extravagant, with dark calfskin sofas, bright lighting, and wooden tables. There you will find mainly cocktails with strange names, so it is better to always ask for the ingredients or to risk any drink. In the largest, it contains things like whiskey, vodka, pepper and lots of tequila. But you can also just order a local or international beer. Like any place in India, it also has several dishes that you can try, such as paneer, chicken or shrimp and many vegetable choices. Spending a few days in Delhi, the capital of India without enjoying its nightlife, and just visiting temples, is like losing a part of its new modern culture. What some people may think is that going out at night in Delhi is dangerous, or even assuming that there is no life at night. But not quite. It’s very safe and can even be a fun night, dancing and listening to the great hits of Hindi folk music. 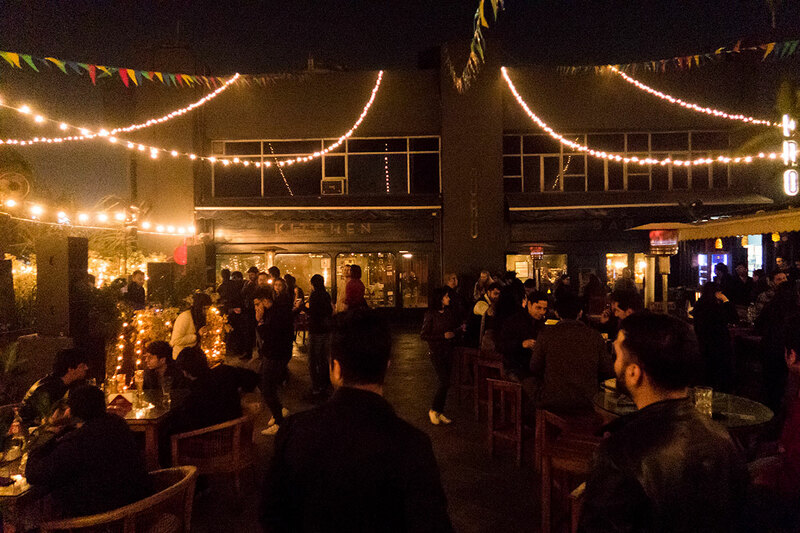 If you are looking for alternative bars, then Hauz Khas Village is your destination. 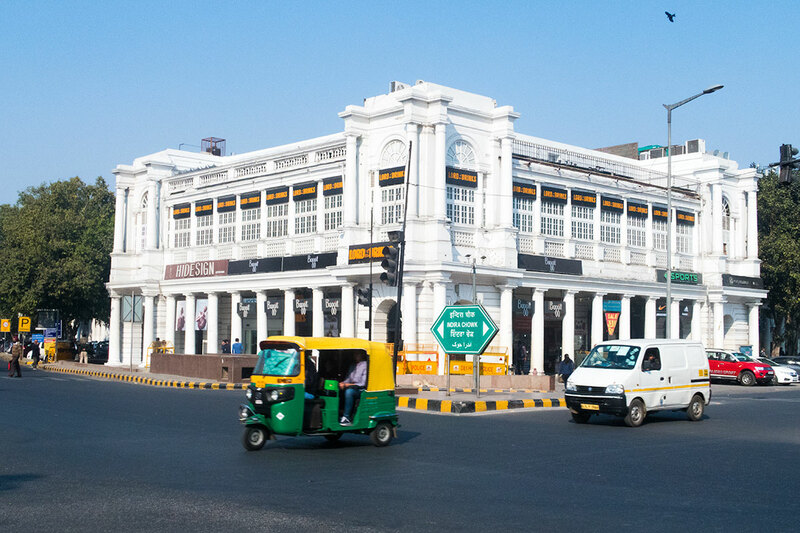 For more trendy environments, then Connaught Place may be a good solution, but prices will also be much higher.